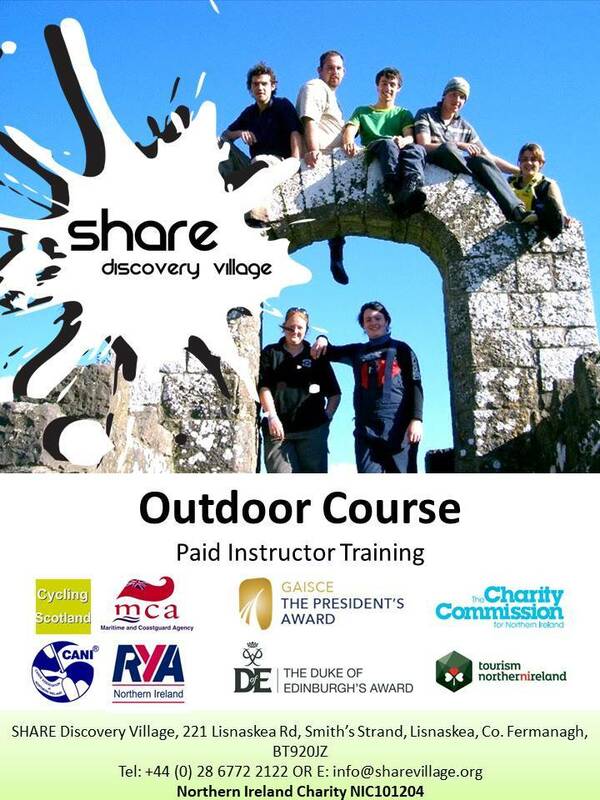 Established in 1987, the SHARE Outdoor Instructor Training Course provides individuals with the ability to gain national governing body qualifications, gain work experience and receive a training allowance whilst working in the largest residential activity centre in Northern Ireland and Ireland. The Outdoor Instructor Training Programme provides a year long, unique training opportunity where you get paid whilst you train. SHARE will pay you a weekly allowance of £75 for the first six months as you train, and then increase to £125 during your six months of work experience. Trainees will also be provided with self catering accommodation located just off the SHARE site and meals during working hours. The Outdoor Course starts in September, and runs through until the following August each year. SHARE will pay for your National Governing Body qualifications, take you on expeditions and training trips, provide sport mentoring and shadowing with senior instructors and you’ll gain real world experience working with and leading a varied array of groups. This amazing training programme is the best way to start or develop your career in the outdoor industry. Not only does it provide you with a portfolio of qualifications, but real work experience which is crucial in securing future employment and a necessity for potential employers. No previous experience or qualifications are required for the outdoor industry but an outgoing personality and an interest in working with people are desirable. Outdoor Course applicants must be over 18 years of age for the course start date. We’ve been refining our interview process for over 25 years. It involves a day visit to SHARE which consists of a formal 20 minute interview and a physical test on the water and land. Whatever the outcome of your interview you’ll enjoy this informal process, get a taste of outdoor life and meet some great like-minded people.